Ella, age 14, is snatched by soldiers and never makes it home. She is taken to Birchwood where her humanity is taken from her. She quickly learns to lie about her age so that she can get a job. Because, those with good jobs survive longer. Her grandmother was a seamstress and she learned a lot from her. Can Ella get and keep a job in the Upper Taylor’s shop? She makes a new friend, a girl named Rose who lives in a fantasy world. Can they help each other to survive? Birchwood is also known as Auschwitz-Birkenau. 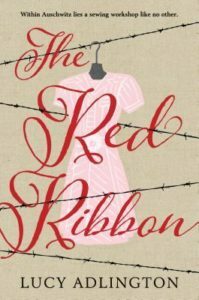 This Holocaust story investigates relationships, why people act and do what they do, and how complicated people can be. While the story is set in a horrible place, its overall tone reflects hope. The historical piece of this novel is woven in seamlessly and provides a unique perspective which will be new to many readers. The novel does contain some violence and minimal language.